Description: New in box. 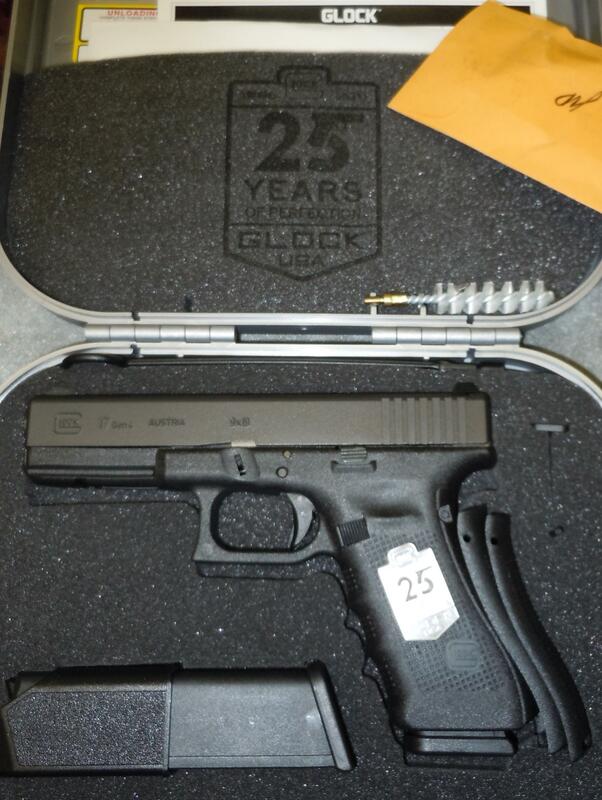 Glock 25th anniversary 17 Gen 4 9mm pistol with limited edition emblem and silver box. Limited to 2500. Ask about our instore layaway terms. Please note that even if you click the buy button, you will still need to contact us to receive instructions on how to pay for and have your firearm shipped to a nearby FFL dealer. We will only ship to FFL dealers, and only after an exchange of FFL's. Please make sure this firearm is legal to own in your state or municipality before committing to buy. We reserve the right to refuse any and all sales of firearms at our discretion. All listed items are subject to prior sale from our bricks and mortar business. All sales are final.